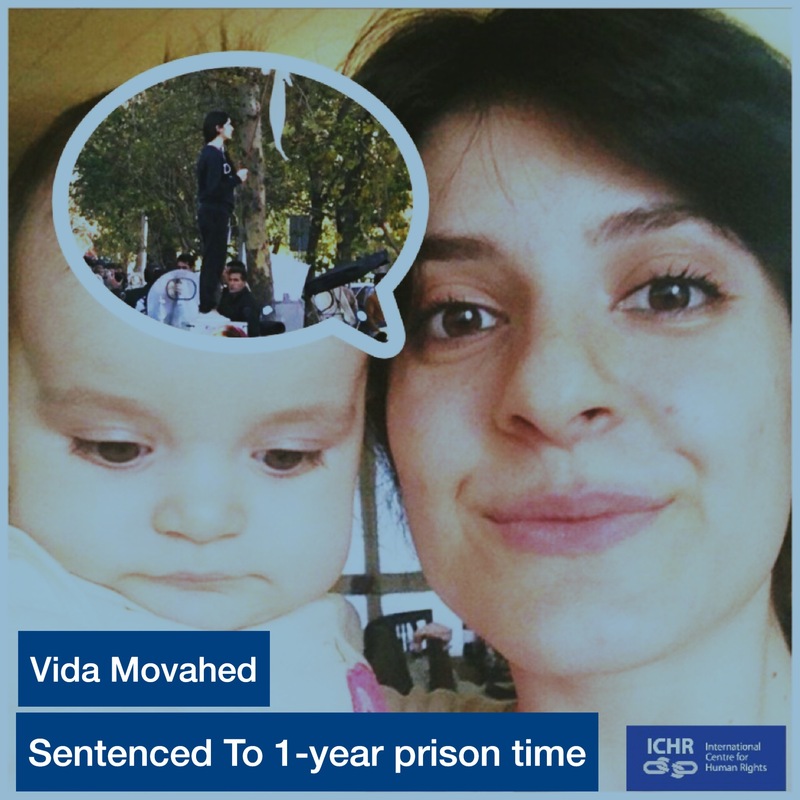 ICHR strongly Calls on Iran’s government to stop their crackdowns on women’s rights, as well as to drop all the bogus charges against Vida Movahed and release her immediately. We stand in solidarity with the girls of revolution St. and all the brave women whom are fiercely standing up and speaking out. Vida Movahed the Iranian woman who inspired anti forced hijab protests by removing her white obligatory hijab and waving it in name of Peacefully protesting the forced hijab. Was prosecuted unlawfully and sentenced to one-year prison time. This is another example of iran’s government crackdowns on women’s rights. Movahed, 32, known as the “Girl of Enghelab Street” was briefly arrested in 2017 after she took off her head scarf and waiving it in the air while standing on a utility box on Enghelab (Revolution) Street in Tehran on December 27, 2017. The authorities detained 29 women on similar charges the following year. Women’s dress has been heavily scrutinized in Iran since the 1979 revolution, the mandatory hijab was not declared by the revolution leaders, it was imposed and forced after the revolution, and ever since the woman have been protesting against it, and because of it arrested, persecuted under unlawful conditions and sentenced. ICHR strongly Calls on Iran’s government to stop arresting, torturing, harassing, unlawfully prosecuting, sentencing, and all violations against women’s rights, and to abide laws of human rights. We stand in solidarity with the girls of revolution St. and all the brave women whom are fiercely standing up and speaking out.